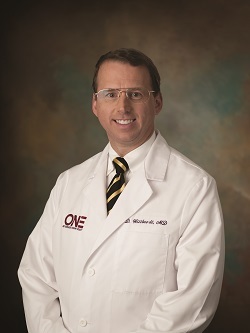 LAGRANGE – Dr. David Wittbrodt, of Orthopedics Northeast, joined the medical staffs at Parkview Lagrange and Parkview Noble Hospital. Dr. Wittbrodt is a board certified orthopedic surgeon who will see patients and perform surgeries at both of the Parkview locations. He practiced in Indiana for the past twenty-two years. He did his internship in general surgery at Ohio State University Hospitals in Columbus, Ohio and then his residency in orthopedic surgery at Ohio State and Riverside Methodist Hospitals in Columbus.